Love cats, but can’t have any? 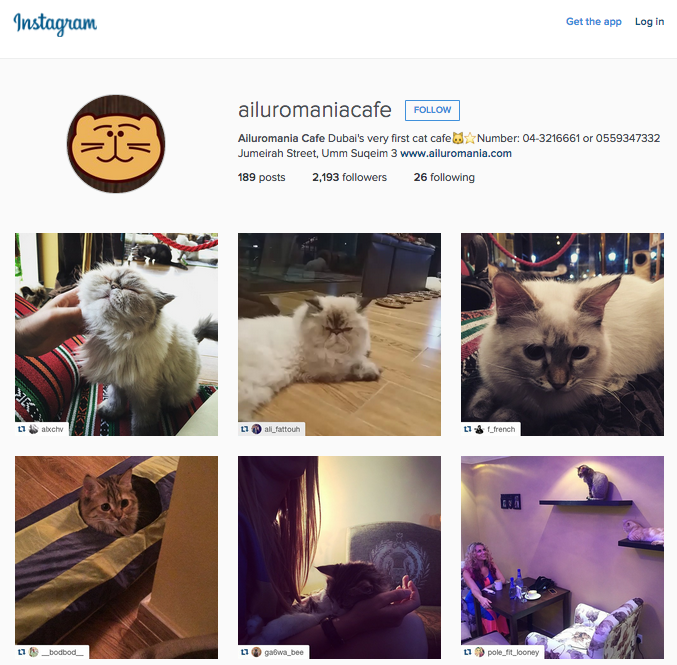 The Ailuromania Café, UAE’s first cat café, is here to fill your feline-loving hearts. Saudi-born sisters 23 year-old Iman and 25 year-old Alla Ahmed Bin Farid Al Aulaqi have imported the cat café trend to Dubai. The business model, a fully operational café with cats, already does well in Taipei, Tokyo, parts of South Korea, London, and New York, among others global cities. The Al Aulaqi sisters had to sort out the legal and health requirements (with special rules made for the atypical business), and then renovated a villa, transforming it into a café. The siblings say that as co-founders, they found their relationship helped in constructively conveying opinions, and their different educational backgrounds (finance and marketing respectively) were valuable in different aspects of launching their idea. And after a year and four months of hard work, on the weekend of its launching week, they welcomed over 100 visitors. Ailuromania rescues and adopts stray cats, giving them a home at the café. All 14 of the cats –which are all adopted except for two- are checked and vaccinated. And as for the logistics? The food is prepared in the outside kitchen or delivered fresh from suppliers, with the animals’ provisions kept completely separate. For marketing, the sisters focus on social media with Facebook and Instagram used heavily to share people’s experiences at the café (user generated content). The feline inhabitants are easily spotted from the windows, and while the establishment welcomes walk-in visitors, Al Aulaqi advises to book online especially on weekends. There’s a 50AED entry charge per adult in the cat section, and there’s a no children policy in the cat room on weekends. Their future plans include opening another outlet in Abu Dhabi, and later on, they hope to expand to other Emirates and then the rest of GCC.